Borton Overseas keeps up with trends in tourism and connects with our partners in travel and other areas of business as members of several professional organizations. Click below for descriptions of each. APTA is a non-profit, volunteer, B-2-B association of travel professionals on a mission to promote travel to Africa. It provides a platform for buyers and sellers in the African travel and hospitality industry to meet, mingle, and grow their mutual interests. ATTA is a membership and trade organization widely recognized as a vital leadership voice and partner for the adventure travel industry around the world. It currently serves more than 1,000 members in 100 countries worldwide. The constituency is made up of tour operators, tourism boards, specialty agents, and accommodations all sharing a vested interest in the sustainable development of adventure tourism. IATAN is a non-profit and its mission is to promote professionalism, administer meaningful and impartial business standards, and provide cost-effective products and services that benefit the travel industry. TOP members pledge themselves to conduct their business with integrity; treat travel agents in a courteous and professional manner; and strive to perform to the travel agent’s expectations. 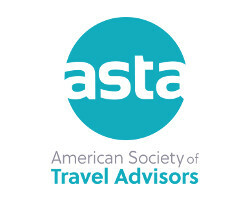 ASTA is the world’s largest association of travel professionals. Members include travel advisors and the companies whose products they sell such as tours, cruises, hotels, car rentals, etc. It is the leading advocate for travel advisors, the travel industry, and the traveling public. The ASTA logo is recognized around the world as a symbol of professionalism and integrity. It’s a sign of membership in ASTA, the professional affiliation most often endorsed by the media when recommending how to find a reliable travel advisor. Borton Overseas has been an accredited member of the BBB of Minnesota since 1989, and has an A+ rating. NTA is the leading business association for professionals serving customers traveling to, from, and within North America. The members include tour operators and travel planners who package travel product domestically and around the world. Safari Pros members endeavor to design a safari using local partners who demonstrate a measurable impact on both conservation and community. The goal is a journey of extraordinary experiences for our travelers while knowing that the partners we support in each country are equally as dedicated to both our travelers and the well-being of the wilderness they protect and the communities with whom they work. The TAP Campaign is an outreach initiative which aims to educate global travelers about the harmful impacts of plastic water bottles usage and encourage travelers to be prepared to clean their own drinking water. The use of disposable plastic bottles while traveling is: hard on the environment, hard on the communities left with the garbage, it’s expensive, and it can often be unhealthy. No traveler wants to leave a trail of plastic water bottles behind them, but many don’t know how to avoid it. TAP is here to help educate travelers about the other resources that are available to ensure they are drinking safe water while abroad.